govt_jobs jobs Bangladesh Forest Department Job Circular 2018 published! Bangladesh Forest Department Job Circular 2018 published! 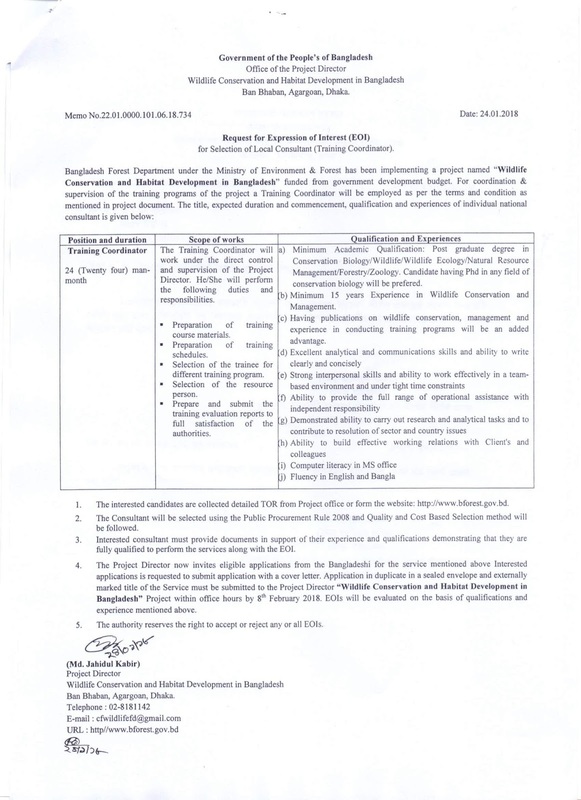 Bangladesh forest department under the ministry of environment and forest has been implementing a project named "Wildlife Conservation and Habitat Development in Bangladesh" funded from the government development budget. For co-ordination & supervision of the training programs of the projects a Training Co-coordinator will be employed as per the terms and condition as mentioned in the project document. The title, expected duration and commencement, qualification and experiences of individual national consultant is described in the circular below. See details below about Bangladesh Forest Department Job Circular 2018.